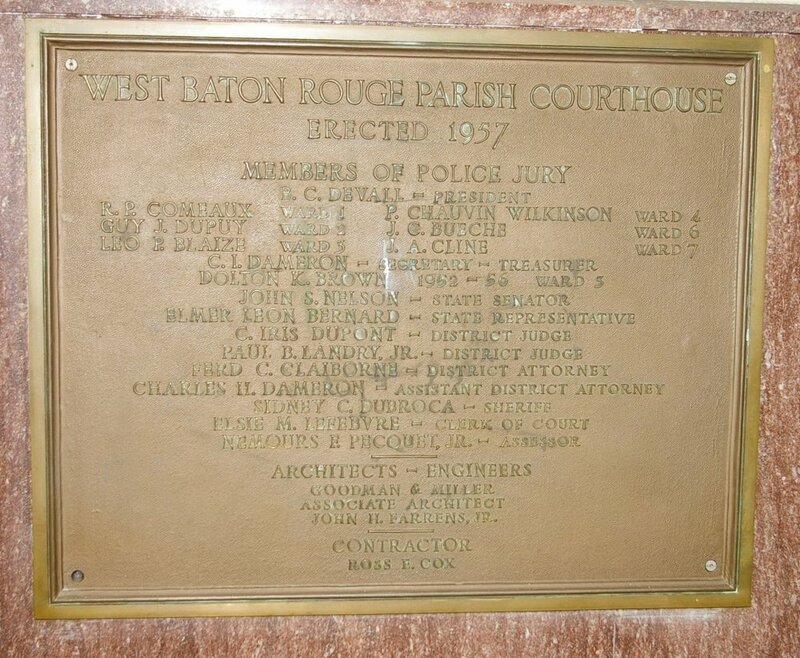 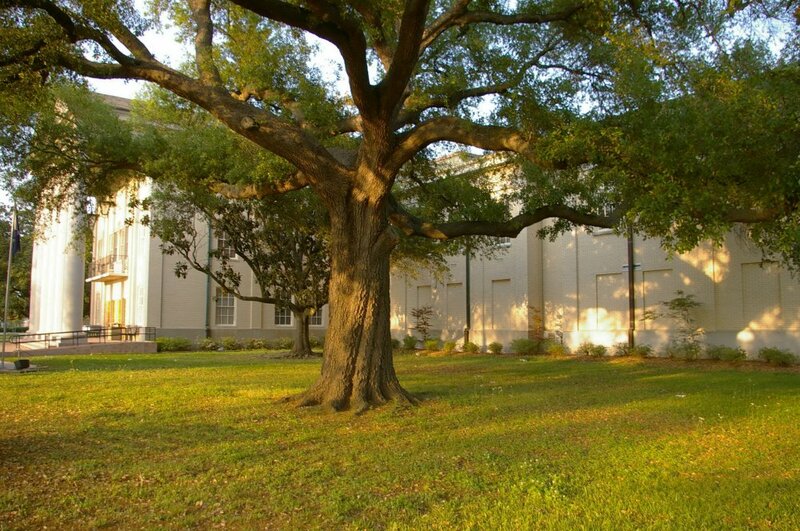 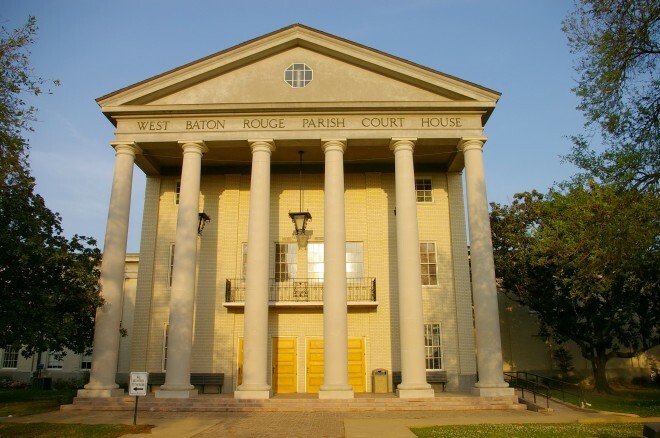 West Baton Rouge Parish is named for “baton rouge” being French words meaning “red stick” referring to a tall cypress tree stripped of its bark and draped with freshly killed animals that marked the boundary between the hunting grounds of two Indian tribes in 1699. 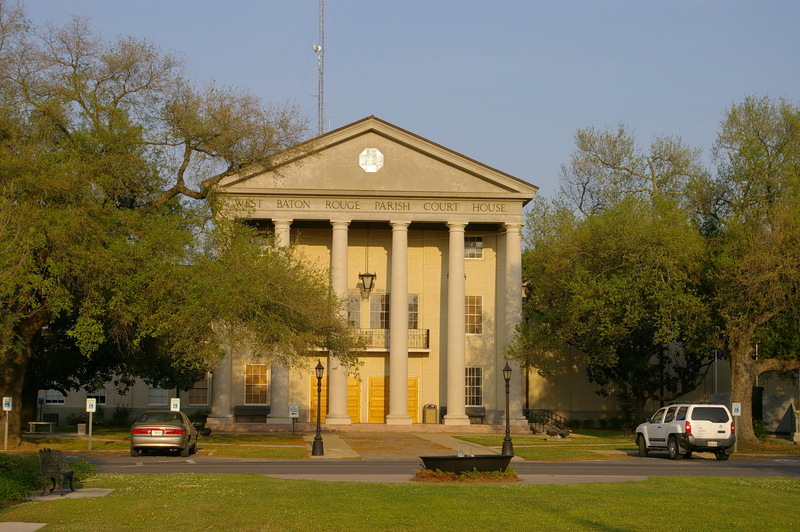 Architect: Goodman and Miller and John H Farrens Jr. 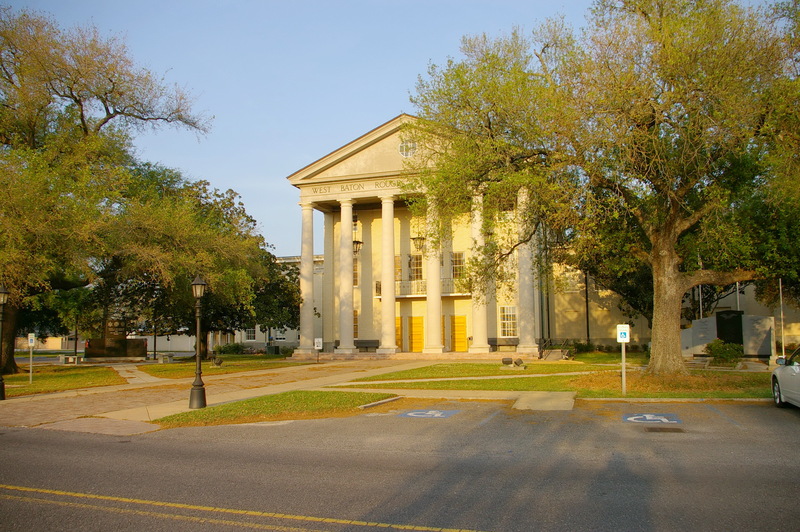 Description: The building faces west and is a two story buff colored brick and concrete structure. The west front has a large portico with six high columns rising to a pediment at the roof line. The center of the building extends from the main building. 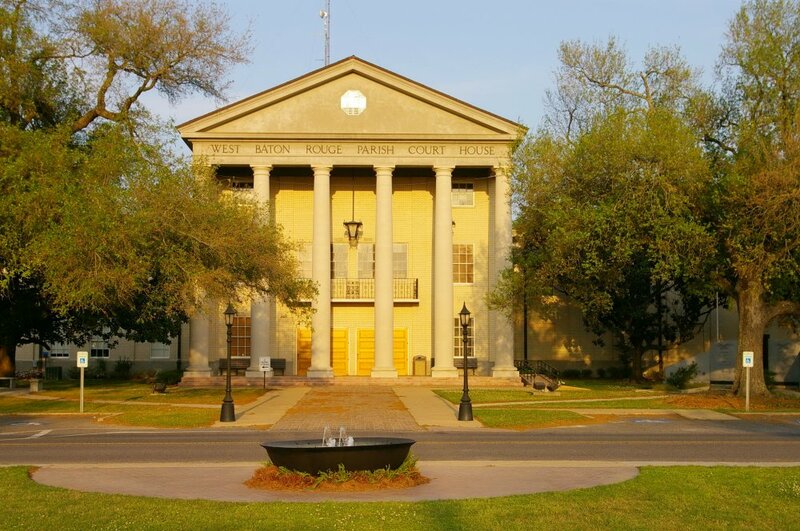 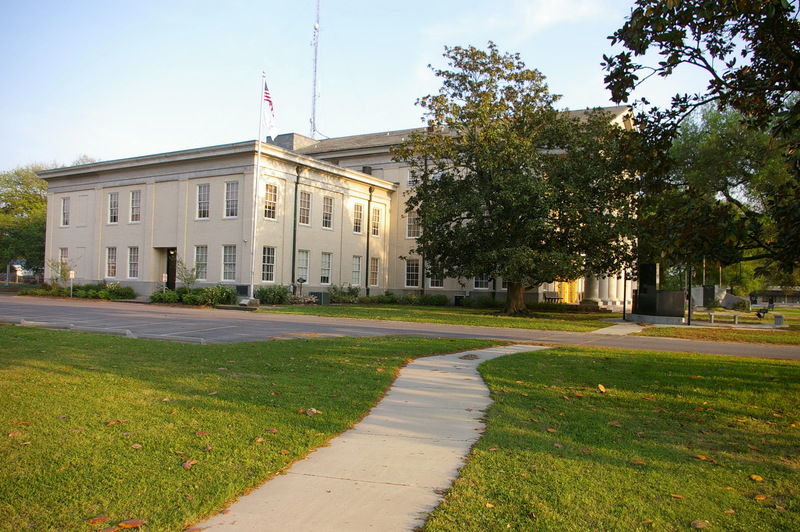 Note: The previous courthouse was designed by Henry Thiberge and constructed by Adolph Thieson in 1882.